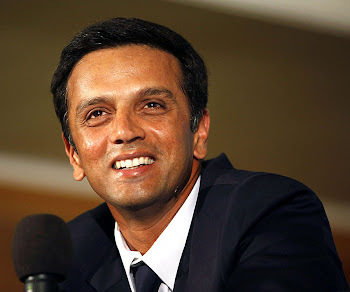 Rahul Dravid: Is he really out of form? Is he really out of form? Purpose of this post? Well, you can judge from the title itself - because you (like me) too heard what Mr. Tony Greig said. One bad series and some people have already started to predict Rahul Dravid's retirement. So the question is - is "The Wall" crumbling? And the answer as usual is - NO. No doubt, this series was not good for him at all, but this is something every cricketer has to go through in his career. And players like Rahul Dravid can easily come out of it. Just to share with you all- Rahul Dravid is now 4 catches away from whopping 200 mark. The wall of india will be back very soon .May wall get strongness in next year.The wall(DRAVID) will bright like IPL matches. Mr.wall will come back very soon. The wall back in cricket . new zealand should be aware . congrats rahul for 30 centuary from my side.